Blender Foundation is a Dutch public-benefit corporation, established to support and facilitate the projects on blender.org. 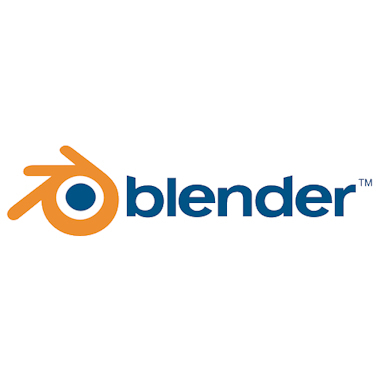 Blender is the free and open source 3D creation suite. It supports the entirety of the 3D pipeline—modeling, rigging, animation, simulation, rendering, compositing and motion tracking, even video editing and game creation. As a community-driven project under the GNU General Public License (GPL), the public is empowered to make small and large changes to the code base, which leads to new features, responsive bug fixes, and better usability. Blender is a free and open source 3D creation suite that supports the entirety of the 3D pipeline—modeling, rigging, animation, simulation, rendering, compositing and motion tracking, video editing and game creation. Blender features a powerful unbiased rendering engine called Cycles that offers stunning ultra-realistic rendering. Experience the joy of sculpting organic subjects using the built-in sculpting feature set of Blender. Whether it’s simple keyframing or complex walk-cycles, Blender allows artists to turn their still characters into impressive animations. Blender comes with a fully fledged compositor built right in. That means no more exporting to third party programs, you can do it all without leaving the program.